After leaving Vancouver, we began our 2,000 mile trek to the largest and least populated state in the US. There are multiple ways to get to Alaska, including: 1). Ferry on the Alaska Marine Highway, 2). 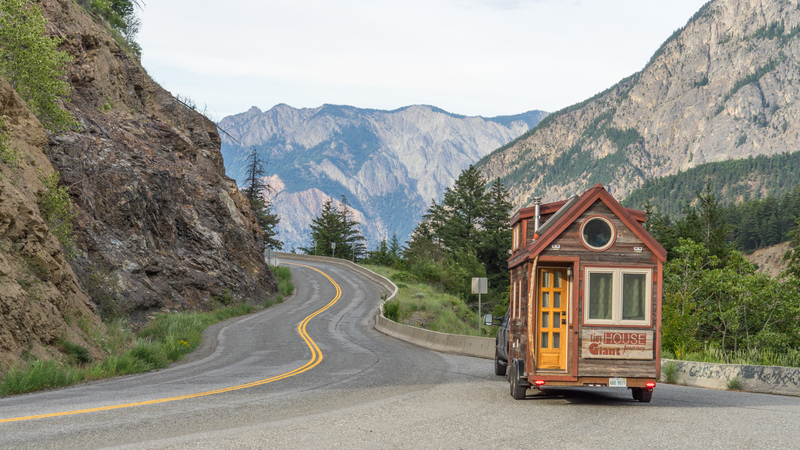 Drive the Alaska Highway, and finally, 3). Drive a series of less known / remote highways. 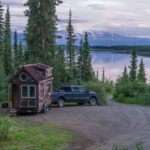 The Alaska Marine Highway has been the preferred method of transportation for other tiny houses going to Alaska, being that it’s the fastest route and requires the least amount of vehicle stress. It’s also the most expensive route. 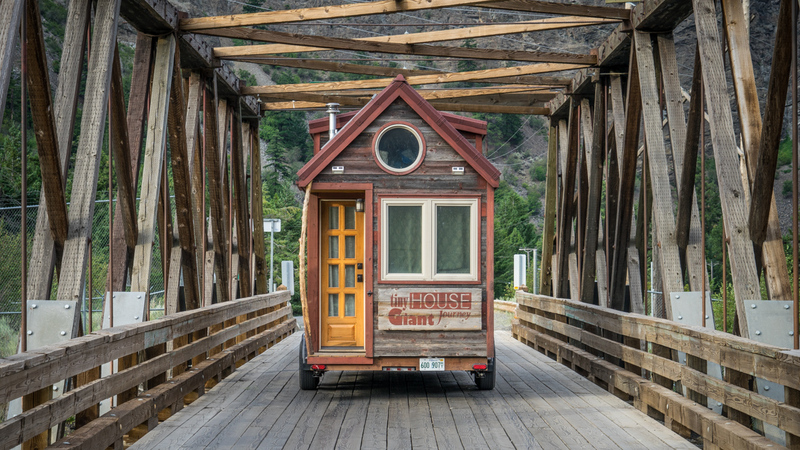 Going from Bellingham to Homer on a ferry with a tiny house, gigantic truck, two humans and one dog was priced at $7,300…. one way! This was simply not an option for us. That left us with either the Alaska Highway or the roads-less-traveled options, and we thought, why not do both? We’ll go north on the more remote highways and save the famous Alaska Highway for our trip south. Onward to our Alaskan adventure! 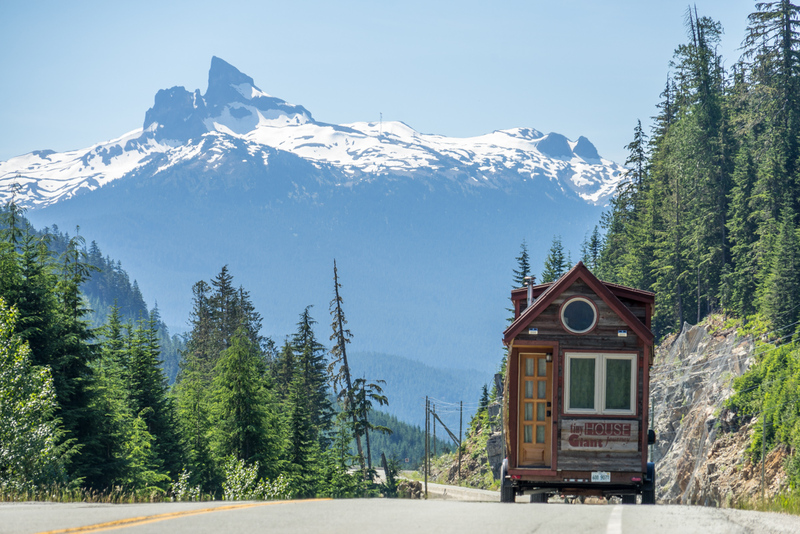 Our first road-less-traveled is the Sea to Sky Highway. 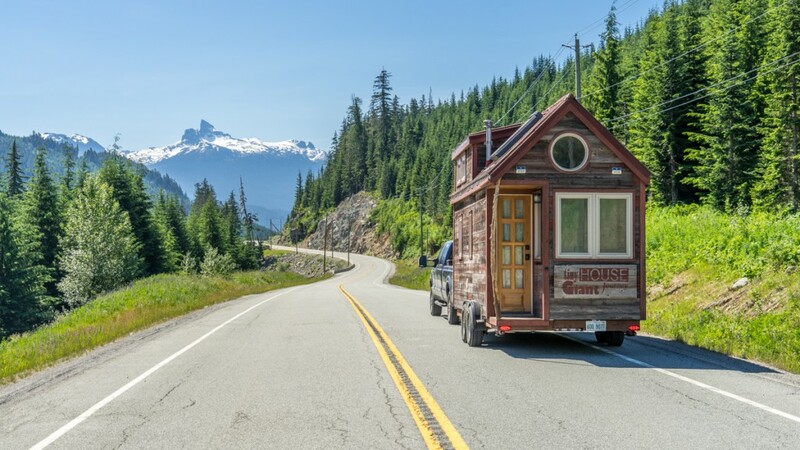 The scenic 254 mile Sea to Sky highway is very popular because it not only offers picturesque views, but it also travels straight through Whistler – a popular recreation spot for skiing, snow shoeing, biking, hiking and much more. 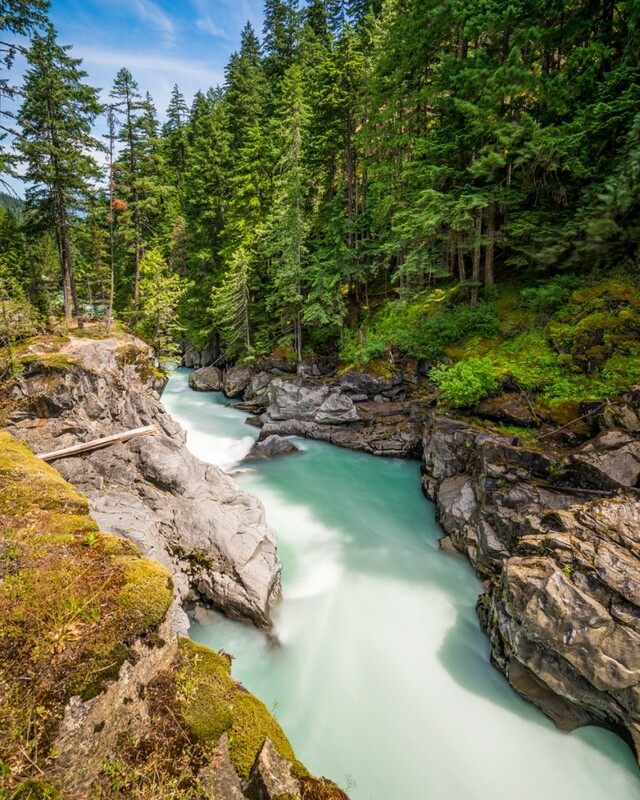 Whistler is a beautiful town with a lot to offer. It’s also pretty expensive. If you’re on a budget, eat at El Furniture Warehouse. Every food item on their menu is $4.95, no matter the season. 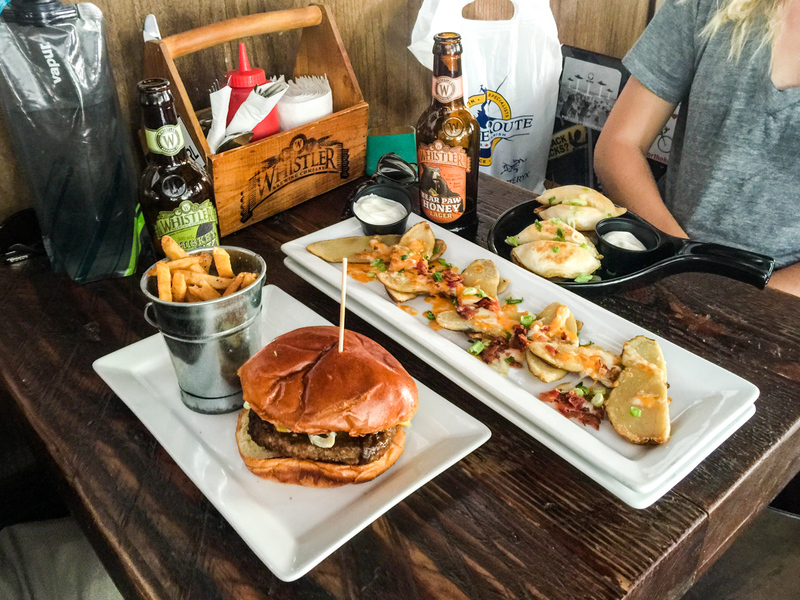 You’ll spend more on beer than food at this place! $4.99 meals at El Furniture Warehouse! 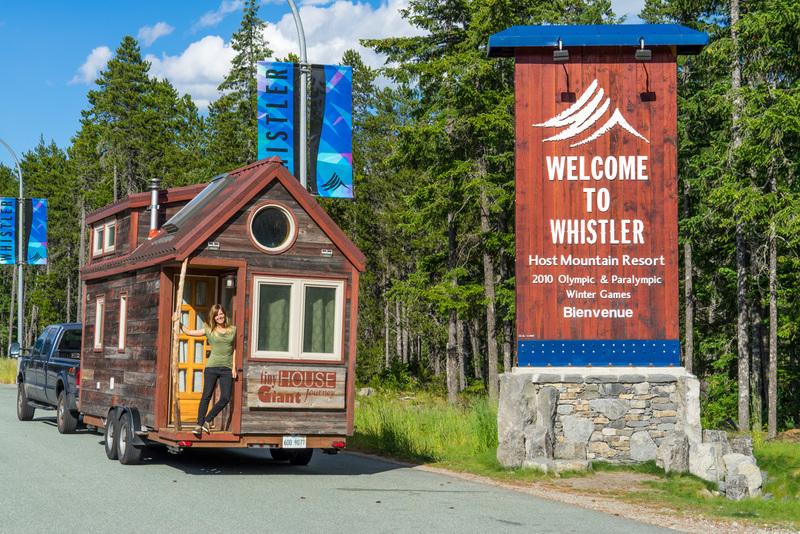 Once again, we were lucky enough to have an epic parking spot while in Whistler, we stayed five days on the Canadian Wilderness Adventures property thanks to our new friend Andy and our ability to be off-grid with our solar generator from Goal-Zero. Andy took us around the property which had a variety of trails for hiking, horseback riding and four wheel riding. Every night the employees that live on the property would hold a barbecue and a we’d all sit around the fire pit laughing and debating about nothing in particular. Guillaume and I watched a few films on our outdoor movie theater. We had to wait until 11pm for the sky to get dark enough. That’s summer in the north! We didn’t want to leave our parking spot in Whistler, but if we were ever going to make it to Alaska we had to start making some progress. Andy was the last parking contact we had in Canada, so from here on out, we were on our own! A 20 minute walk from the parking lot awards you with a gorgeous close up view of Nairn Falls. The teal colored cascade crashes, foams and forces its way through underwater portholes only to gush out into a raging river. Bring a picnic, the viewing platform is a wonderful place to have lunch. Camping also available. 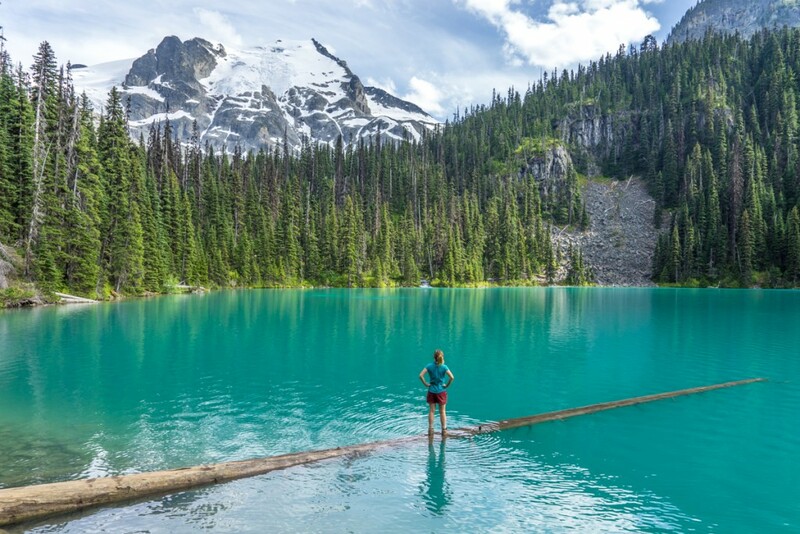 If you’re driving the Sea To Sky Highway and you don’t stop at Joffre Lakes Provincial Park, you’ve failed. It’s the BEST stop on this particular highway. 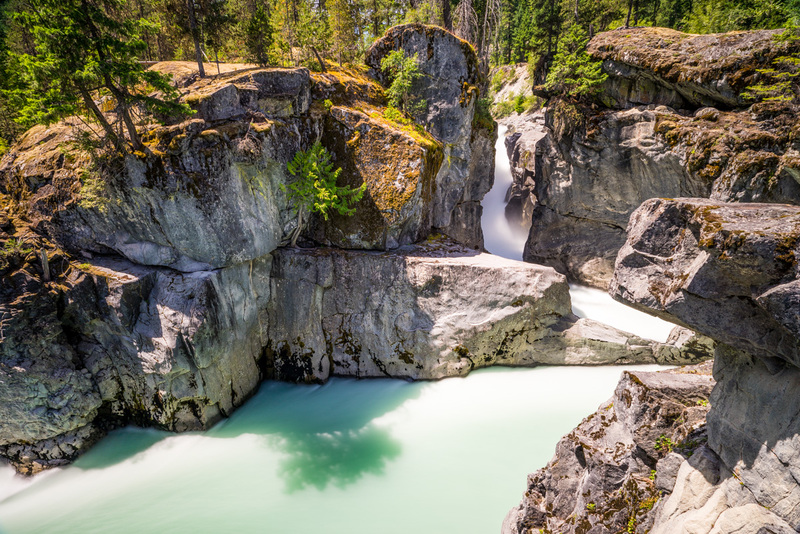 Three pools of turquoise tears fed from an elevated angelic glacier are easy to reach via a moderate hike. You can even camp out overnight at the top! If you don’t like to hike, Lower Joffre lake is a ten minute walk from the parking lot with hardly any elevation change. But trust me, if you are able to hike – do it! Middle Joffre was my favorite lake, while Guillaume preferred Upper Joffre. There’s also an impressive waterfall on the hike, but the lakes are so impressive the waterfall is easily forgotten. Go for a swim, if you dare. It’s freezing! I am enjoying your adventures and would like to donate. I do not order on Amazon. Can you get money through Paypal? If so, I need your email address. My email address is below, so you can send your email address directly to me, if you can get money through Paypal. Hi Nancy. Thank you so much for your generosity, we really appreciate it. If you really do want to go through, we have a donation system setup with PayPal. You can find it on the right side of our website or just click here. Again, thank you so very much! We are glad to hear that you appreciate what we have to share. I have enjoyed your travels very much. You twp are lucky to have time and energy to make these special treks across North America. And think of all the friends you made along the way!! And thanks to Salies, I was able to make small contributions along your journey.